Been a while. Recently I finished a group of 4 figures to be used for Frostgrave. All figures are from Reaper Miniatures and are all metal. 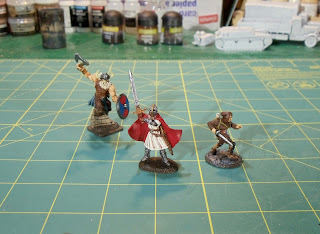 First batch is a group of 4 adventurers. The figure in the middle I'm using as a Knight, the one on the right is a Thief and the left one I don't have a roll for him yet. I thought he was neat so I picked him up. 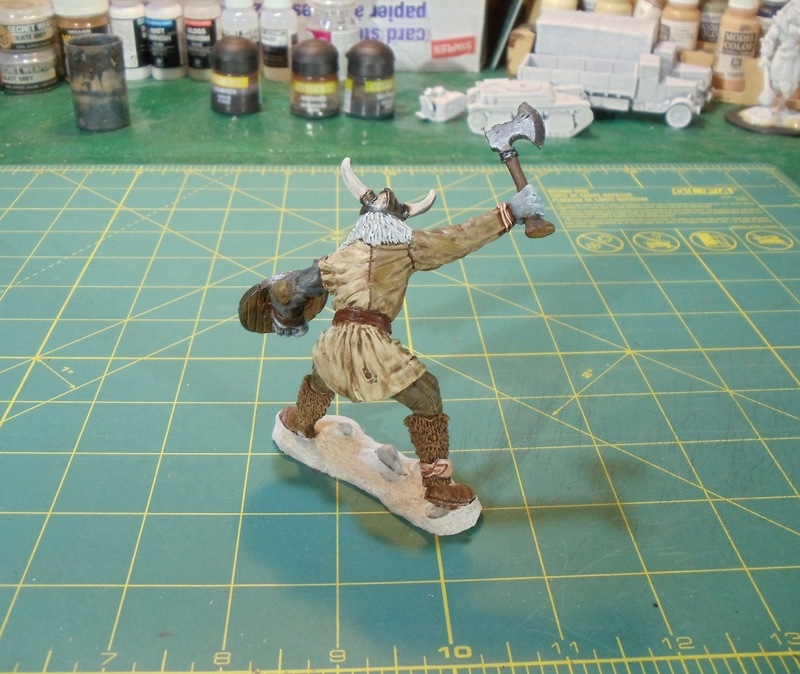 It wasn't till I got him almost finished that I realized I had glued the shield on incorrectly. Oh well. Next up is a large frost giant. I'm not a big fan of the stance, but I see what they were getting at. 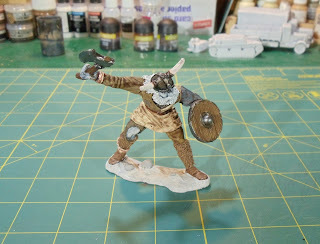 The figure was nice to paint up though and came together rather nicely. Pictures are crap like usual. Four figures for this month is rather dismal. So hopefully I can step my game up as I'm really not doing very well this year. 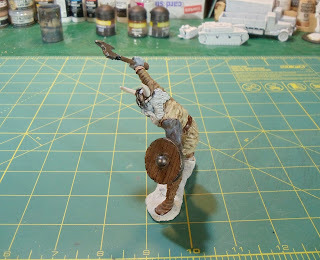 On my paint table is still a couple units of hoplites (still! 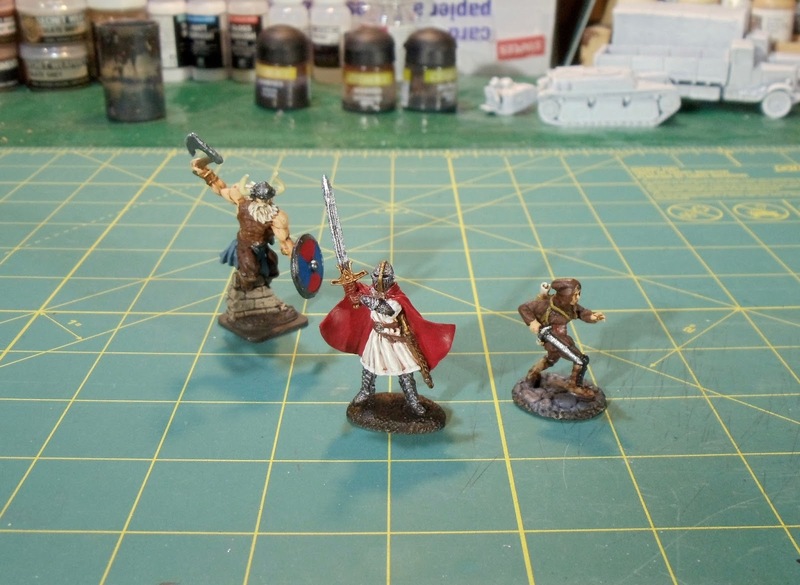 ), some skirmish archers (completed and just need to be based) and a bunch of figures for my Mayday Sci-fi game.